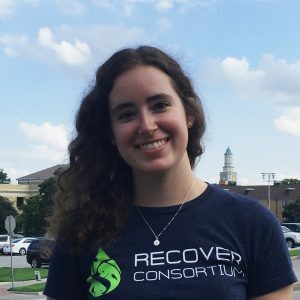 Emma Barnes is a Master’s student in Dr. Aaron Roberts’ aquatic toxicology lab at the University of North Texas. In 2015, she received a Bachelor’s degree in Zoology and Environmental Science through the Honors Program at Miami University (Ohio) where she was a research assistant in Dr. Maria González’s freshwater ecology lab. Emma is interested in how vision in marine fish is affected by oil and is currently testing scotopic vision after embryonic exposure. Additionally, Emma is interested in science communication and filmmaking and is creating a short film about her research and the greater Deepwater Horizon spill.